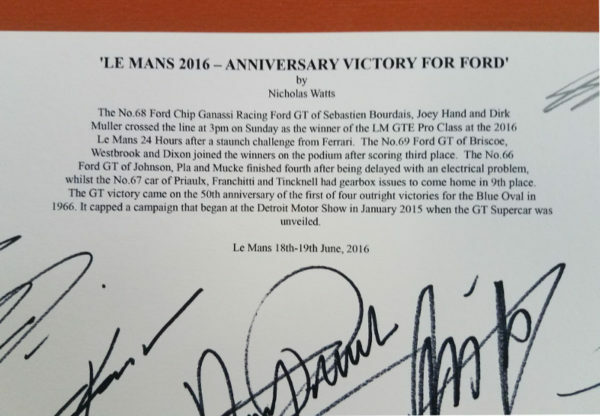 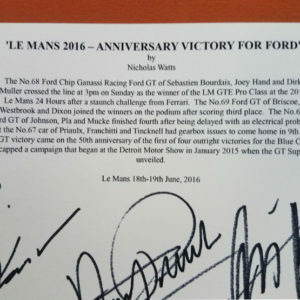 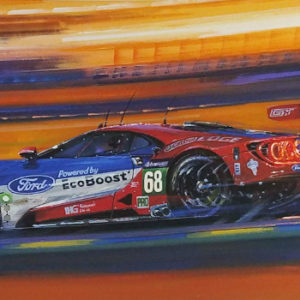 Print commemorating the Ford historic class victory of the LM GTE Pro Class at the 2016 Le Mans after a staunch challenge from Ferrari. 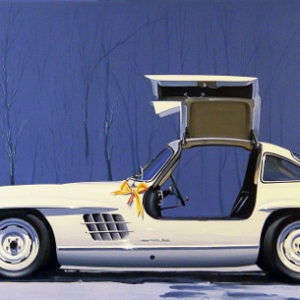 The class victory came on the 50th anniversary of the first of four outright victories for the Blue Oval in 1966. 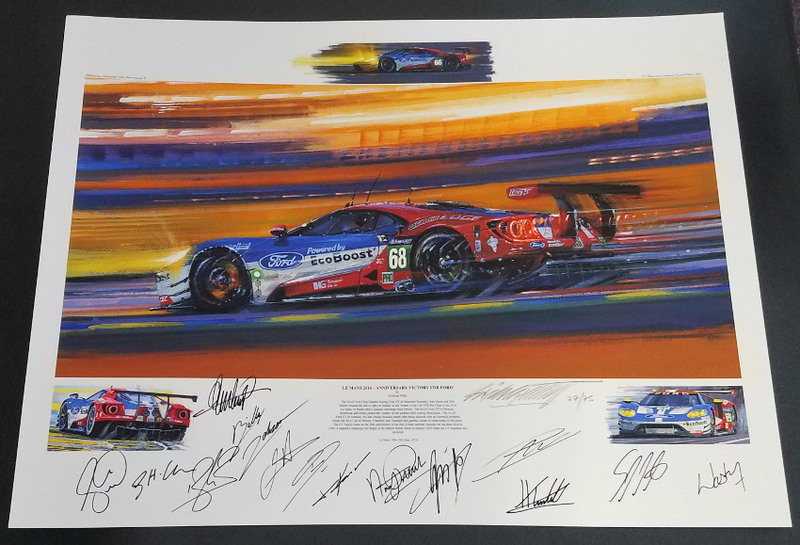 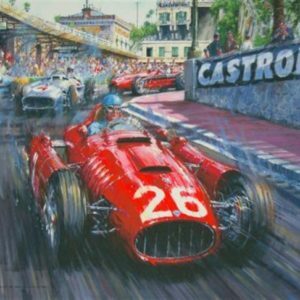 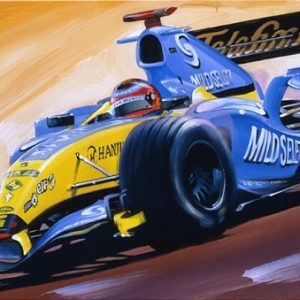 This print is autographed by Chip Ganassi, 12 Drivers from the Chip Ganassi Team and George Howard-Chappel. Signed by Chip Ganassi, Joey Hand, Dirk Muller, Ryan Briscoe, Richard Westbrook, Scott Dixon, Oliver Pla, Stefan Mucke, Billy Johnson, Tony Kanan, Andy Priaulx, Marino Franchitti, Harry Tincknell, and George Howard-Chappel. 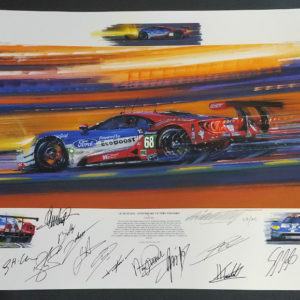 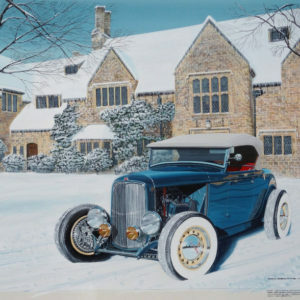 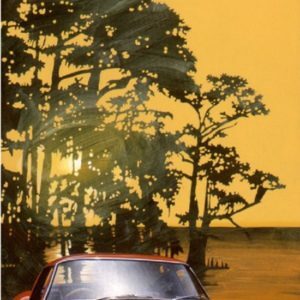 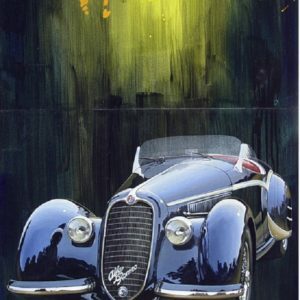 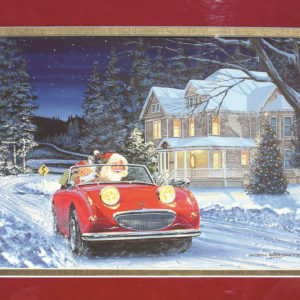 Limited edition giclee print of 75.